“I’m going to Disney World!” It’s a phrase most often associated with the Super Bowl but soon, it’ll ring true for two of the top mobile payment providers. Beginning December 24, Walt Disney World Resort will flip the switch on mobile payments meaning visitors will be able to make purchases using Apple Pay, Google Wallet and contactless credit cards via RFID. 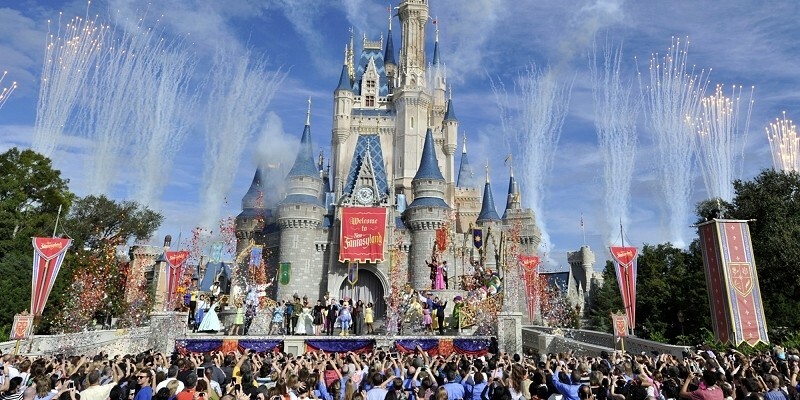 Disney’s implementation is leveraging its MyMagic+ infrastructure. Launched last year, this RFID-based platform allows customers to use MagicBands or traditional plastic cards to perform a number of tasks in the Orlando area theme park including unlocking their hotel door, granting admission to theme and water parks, checking in at FastPass+ entrances, connecting images to their account and charging food and merchandise purchases to their hotel room. At launch, guests can use contactless payments at quick service restaurants, ticket booths, bars and most shops. Kiosks that use portable payment terminals will be upgraded to accept contactless payments at a later date, we’re told. Guests are instructed to look for the EMVCo symbol at participating check-out stations around the park. Disney was listed among the first partners when Apple Pay was announced this past September. Apple Pay is still in its infancy although according to a recent report from ITG Market Research, the platform achieved a 1.7 percent market share in the first six weeks following its launch. Disneyland Resort in California, meanwhile, will begin accepting mobile payments sometime in 2015.